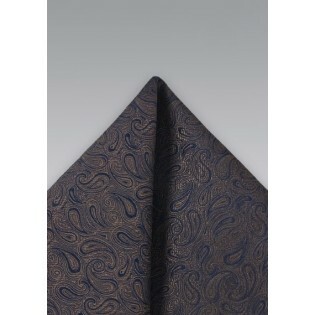 A unique truffle brown pocket square with midnight blue and rust brown paisley pattern that is woven throughout the fabric. If you want to add some uniqueness to your jacket then this accessory will do the trick. 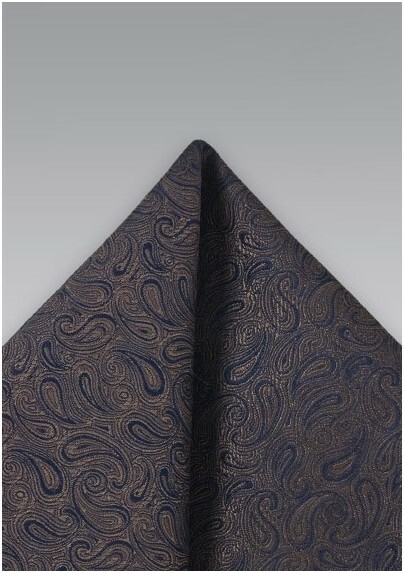 It looks best in combination with dark brown, tan, and navy suit. Handmade from finest woven silk with edges that were hand-rolled.